Some people say we are too ambitious, we say tremendous achievements are backed by great visionaries. As the giant of Africa, we believe that Nigeria and her citizens should be at the center of innovative real estate development in Africa. 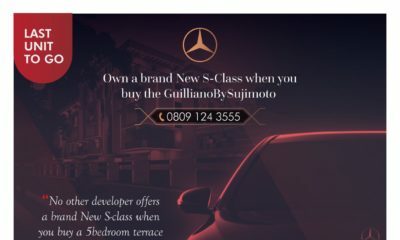 This is why at Sujimoto, our mission is simple; to redefine luxury living by bringing the best of the world to the center of Lagos. As Lorenzo de’ Medici once expressed: ‘Settling for less is comfortable for the ordinary mind, but he who dares to dream, dares to live‘. True, Nigeria has come a long way and by now, all other African countries should be looking up to us for direction. It used to be that way before until series of bad leadership steered us in this direction. However, I see a new Nigeria rising from the horizon. Things are beginning to look up. Thank you Sujimoto for reminding us of the power of big dreams. Something to look forward to…at last! When a company is committed to building ‘a dream’ …I want to live in it. Don’t we all? 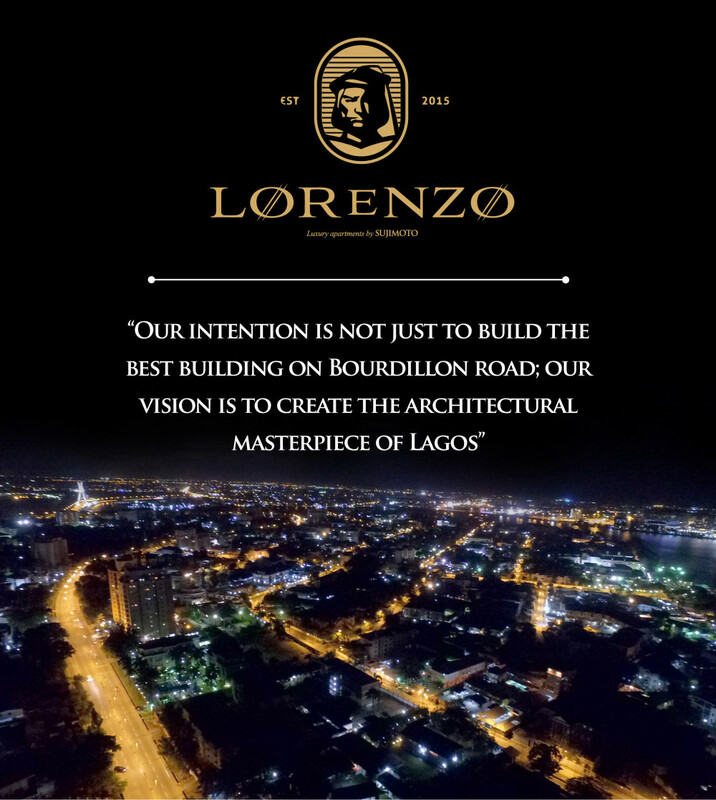 Wait, Is that really Ikoyi’s night view in the picture? Sujimoto is really doing well for himself and i like all his quote. He has a very good team. I cannot wait to see what the Lorenzo will look like because when i saw the Medici by sujimoto in ikoyi. i must say it is beautiful and up to taste. This is interesting i can’t wait for the final project. Lagos is a great city and i sincerely appreciate when young and talent people put things together to help or make this city/country better. Thats right, Give other real estate firms a run for quality. Always like the fact that Sujimoto prefers quality to quantity. something most companies fail to look at. Hilary and Christiano….one and thesame person. Smh. Please Sujimoto abi warreva please stop commenting under differnt names. If your work is that good let it speak for you. What’s so great about Bourdillion ? Is it really the best? The Lion lives there. LOL! The location I like is Queen’s Drive/Oyinkan Abayomi Drive. Probably the best location in that area. All these newbies commenting mmm? All of them saying the exact same team. Hmm. REJOICE WITH OTHER SO PEOPLE CAN REJOICE WITH YOU WHEN YOUR TURN COME! LORENZO is a very catchy name and very good. What the name stands for alone is powerful. Them dey try to generate fake hype. Even if the best advertising is by word of mouth, people can usually tell when its fake. Silliness. Where to even start from? The obvious colonial mentality/inferior complex that names like “Lorenzo” and “Sujimoto” and that obviously Italian logo bring to mind? Anything but Nigeria. So sad. Or flinging around the word “luxury” that has been beaten to death (falsely, I might add) in Naija? 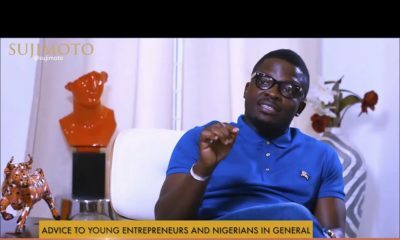 Or this tendency of young Nigerians these days to talk a big game, with nothing to show for it? If you want to build an architectural masterpiece, please go ahead and build one, and we will see and know. Not be talking about it when you have nothing to show, and in a place with a history of shoddy workmanship. And finally, quit paying people to come and comment here and hype you up. Bella Naija readers are not that dumb. At this rate someone’s money will soon enter “voicemail”. Lmao!!!!!!! Y’all got them right in the throat! The first few comments were obviously Sujimoto employees or whatever. We know sijibomi na mad man and all his hype is just for the exterior… The guy runs a mad house. BUT! you cannot fault his taste though. He knows good pieces and has a detailed eye for real estate… But he will need a better attitude and be more professional to be a better person. This Sujimoto people do a lot of talking and nothing else. 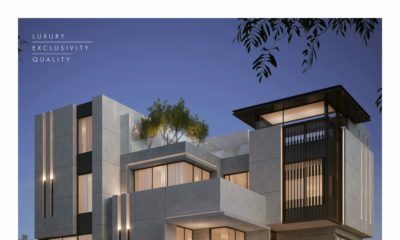 I have been to their property on Milverton, it looks amazing from the outside and if you don’t have an eye for class & originality, you’d like the interior aswell. The young man needs to take lessons in business management. Plus does he even have a degree? How did he make his money? However, he is someone that has vision and i like that, but no direction whatsoever, not professional. Kudos to his employees for the first few comments! Ekuse!